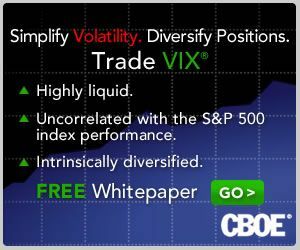 VIX and More: Who Is Trading TVIX? 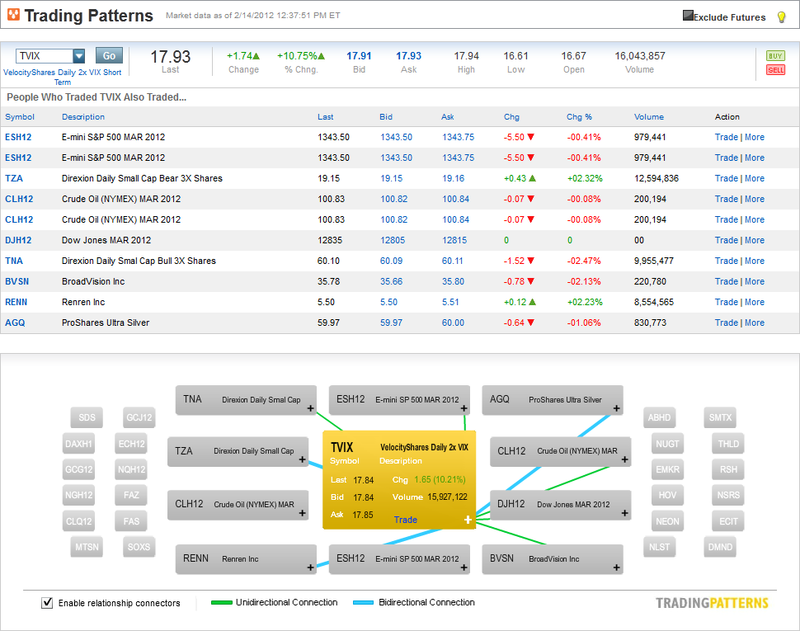 Fortunately, we have the optionsXpress Trading Patterns feature to help answer this question. In the graphic below, it appears that TVIX is part of the arsenal of those who favor the high volatility products that are ideally suited to short-term trades. These include the 3x leveraged ETPs (TNA and TZA), the 2x leveraged ETP for silver (AGQ) and a handful of futures products based on the S&P 500, Dow Jones Industrial Average and crude oil. Two high flying stocks are also on the list, Renren (RENN) and BroadVision (BVSN) – the latter of which just happens to be the first or second internet stock I ever purchased, some 16 years ago. It turns out I cannot type fast enough to keep up with market events. As I was typing this, there appeared to be another short squeeze in TVIX (see VXX Options Calm After Second Highest Volume Day Ever for details on the last one), though the markets seem to be settling back down once again. Finally, a quick reminder that today is the last trading day for VIX February options. VIX February futures can be traded through tomorrow’s pre-market session, which runs from 8:00 – 9:15 a.m. ET. Both products settle with a special opening quotation (VIX SOQ) at the beginning of tomorrow’s regular trading session.